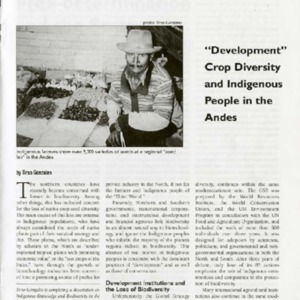 Bioprospecting has become a tremendous threat to indigenous groups across the globe. 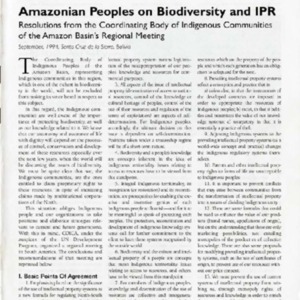 Indigenous communities need to develop a common strategy for responding to these external encroachments. 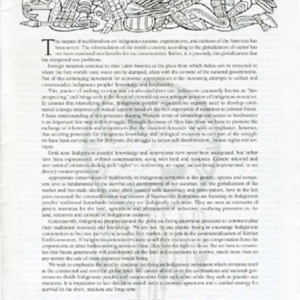 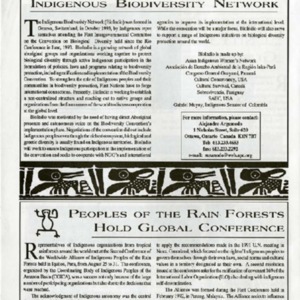 Indigenous Biodiversity Network(BioIndio) is an international group formed in October 1993 to help indigenous peoples take stronger positions on the effort of biodiversity protection.